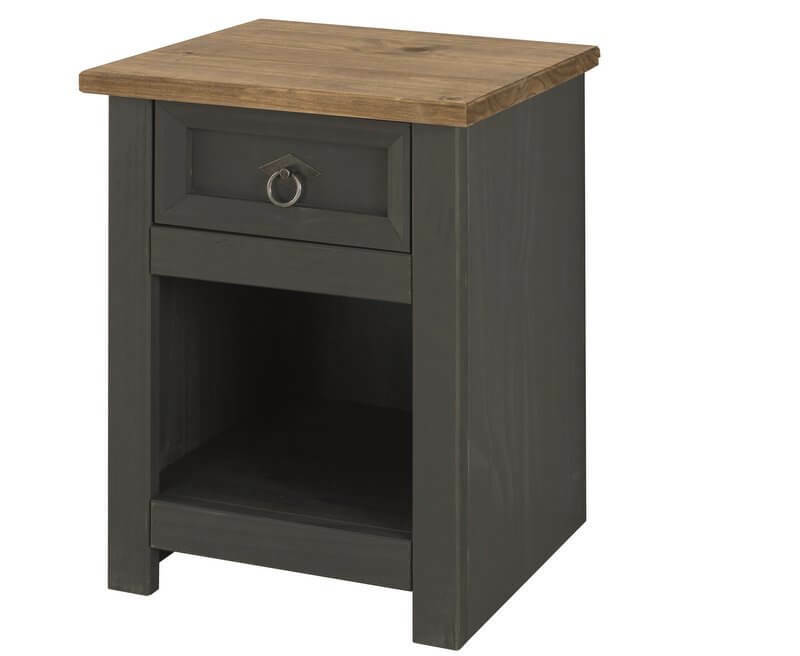 This one drawer bedside table is practical and stylish. 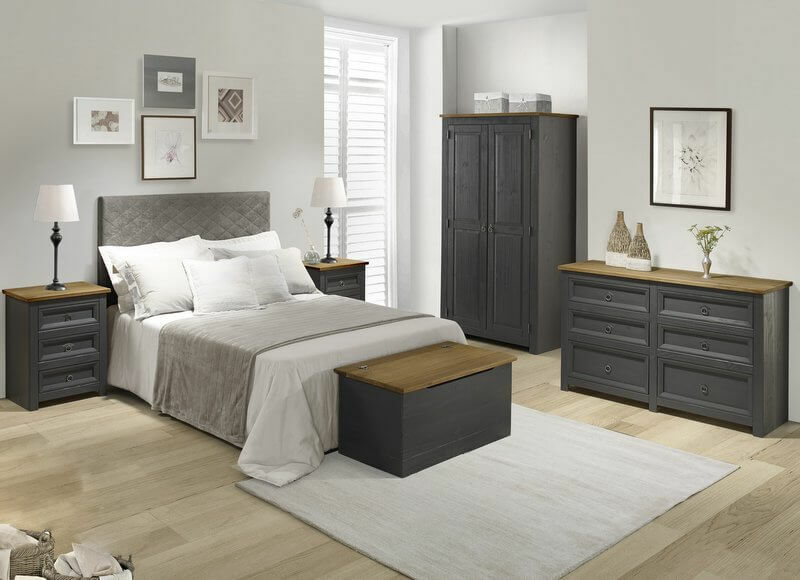 Handy drawer at the top is great for keeping night time items within easy reach, whilst the cubby-hole is great for use as storage space or as a display area. 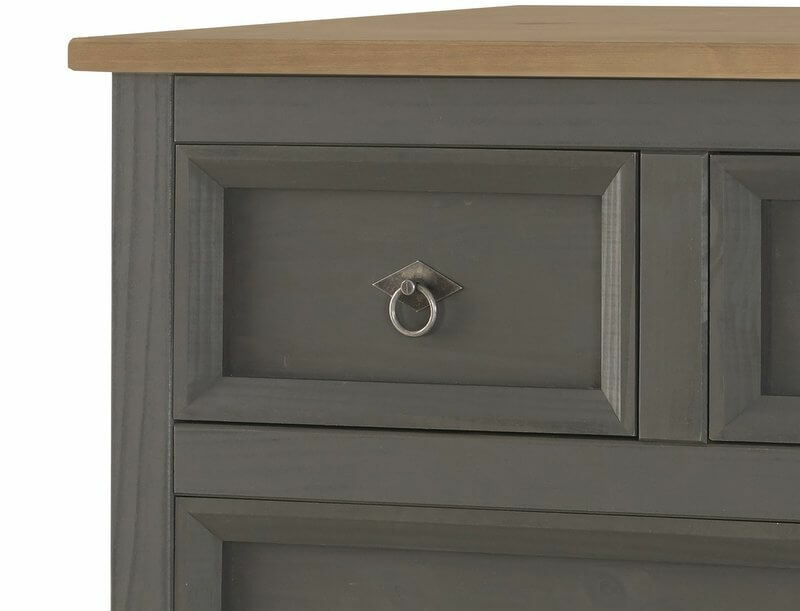 Gun metal finish ring pull handle sets off the carbon grey of the cabinet beautifully. Shaker style with chunky pine top and simple lined drawer. Washed wax finish allows the natural grains and textures of the real wood to show through. Made from responsibly sourced South American pine with pine plywood drawer base and cabinet back.